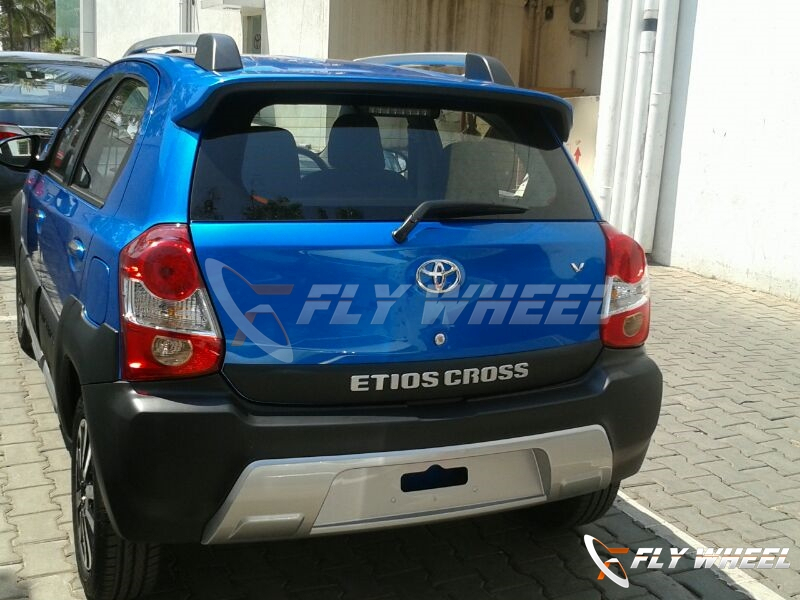 Toyota Etios cross, the crossover model of the hatchback Etios, unveiled at Delhi Auto Expo 2014 is now spied at a dealership in India. The spotted vehicle is blue in color, and is deprived of the camouflages, posing in its original skin, which means the car is ready to roll-out. 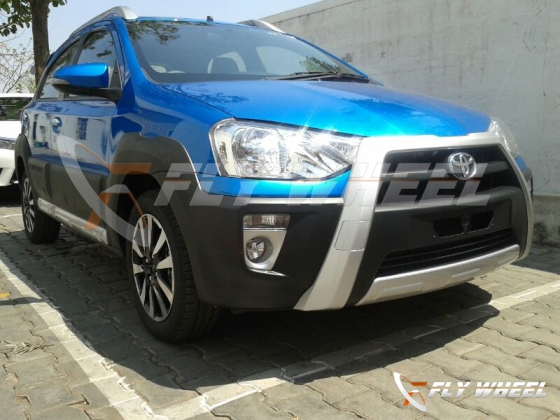 Apparently, the sources claimed it to be launched in the price bracket of Rs 5-8 lakhs, probably more than the present Etios. Technically, there will be no changes in the drivetrain. It will be the bells and whistles which are said to be tied on it for the new attire. Competing on an immediate note, the fiat’s Avventura, crossover version of Punto, too is in the pipeline, and it was unveiled at the Auto Expo too. To roost the breed now at the moment is Volkswagen CrossPolo which was launched somedays back. Hence, the top-line (sales) is totally dependent on the price tags, and the looks. Let us brief you, these aforesaid Cross versions of hatchbacks are not capable of going off-roads, so those who are dreaming of going adventure with these small off-roader type metals they must stay out of it. 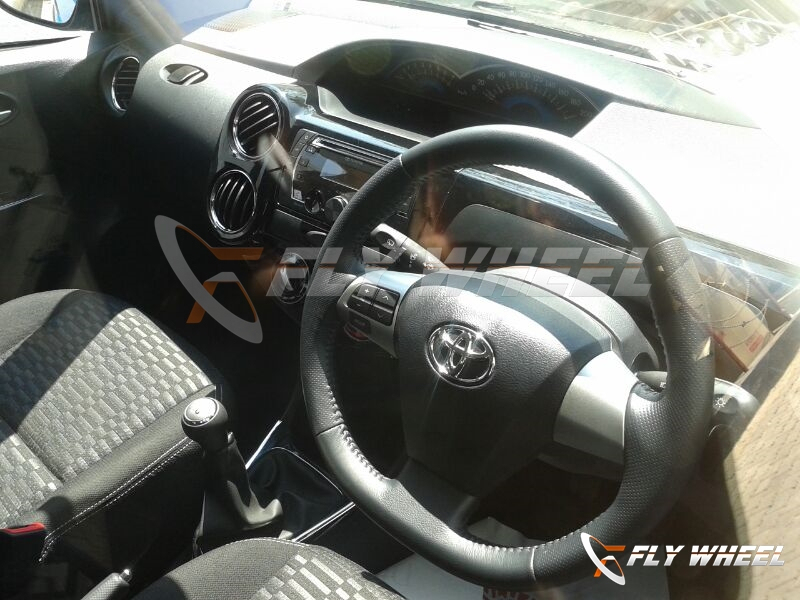 Engine specifications of Toyota Etios Cross petrol variant will be attained from the 1.2 L motor producing 79 BHP of power and 104 NM of torque. The diesel unit of 1.4 L is said to produce 67 BHP of power and 170 NM of torque. Both the machines will be married to a 5 speed manual gearbox. No automatic transmission is expected at present.